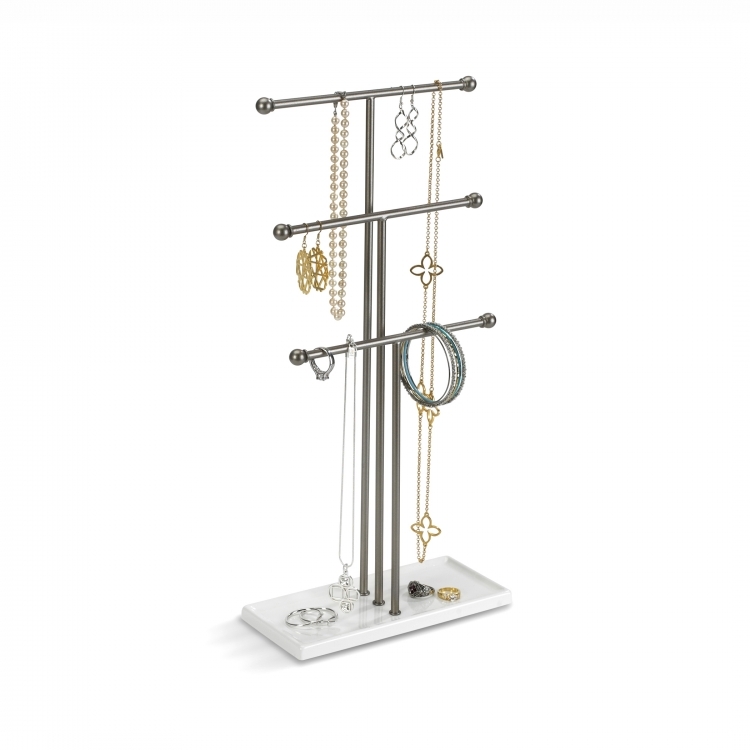 The Trigem jewelry stand organizes and displays necklaces, bracelets, rings and more. Three bars arranged in tiers provide ample storage space and the extra-tall design accommodates long necklaces. Constructed of steel with a nickel powder-coated finish, the stand rests on a high-gloss white rectangular base that doubles as a tray for rings and other small items. 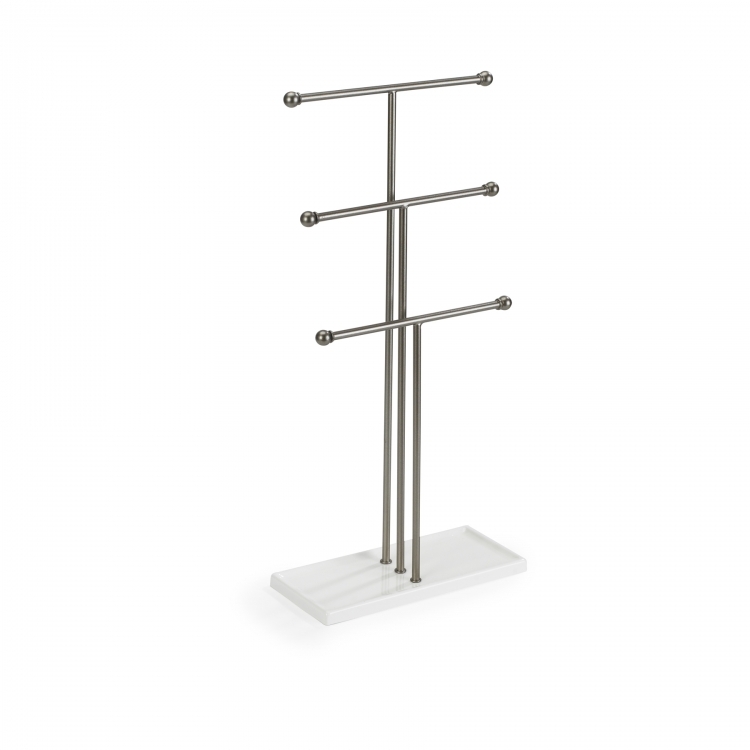 Designed by Alan Wisniewski for Umbra- original, modern, casual, functional and affordable design for the home.